Orthodontics in Logan Square is an effective way to cosmetically enhance the appearance of crooked, misaligned, and crowded teeth. Not only do misaligned or crowded teeth affect the appearance of your smile, but it also affects how your teeth function. That’s because cleaning hard-to-reach areas becomes increasingly difficult, which can lead to tooth decay. When tooth decay goes untreated, it can develop into a periodontal disease which can lead to tooth loss. Let’s find out more about your options in Logan Square, Wicker Park and Bucktown for orthodontic treatment. Logan Square orthodontic devices like these are worn to correct any number of dental or facial abnormalities such as malocclusion, TMJ, crowded teeth and abnormal spacing between teeth. In these cases, there is a clear dental need for orthodontics in Logan Square. In other cases, patients may simply want to improve the cosmetic appearance of their teeth. 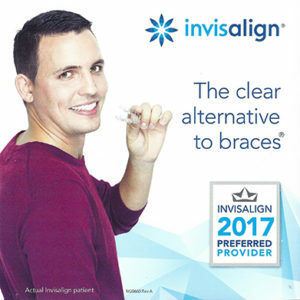 Schedule a consultation with Dr. Guzman or Dr. Fidel in Logan Square to find out if you are a candidate for orthodontics.